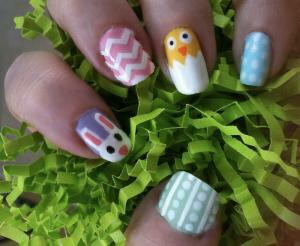 Nail art is a fun trend for all ages. 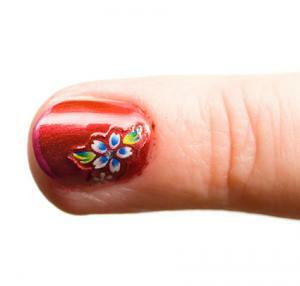 This art form involves the adornment of nails with intricate painting of designs, polish effects, adhesives and piercings and is a fun way to express yourself. 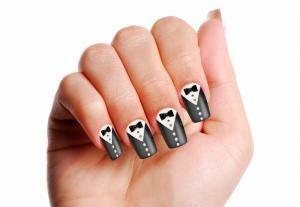 Nail art can be created on natural or artificial nails. 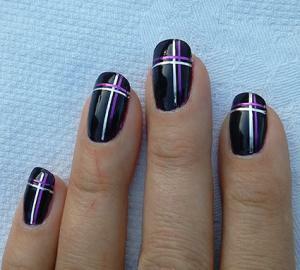 Nail artist Christie Gibson likes working with artificial nails best. She explains, "I prefer acrylic because of how creative we can get with colors. 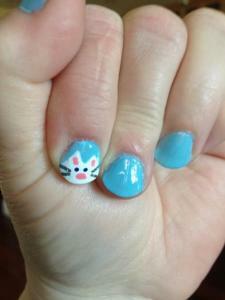 I like to do nail art on acrylic instead of natural nails because it stays on the nail longer. 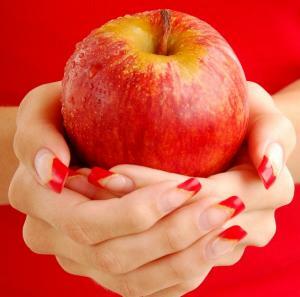 In the best scenario with a natural nail manicure it may only last a week. 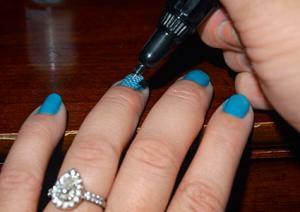 Then your beautiful nail art has to be removed because polish is chipping. Gel is just as good as acrylic, but I mostly do acrylic just because it is what I am most used to working with. 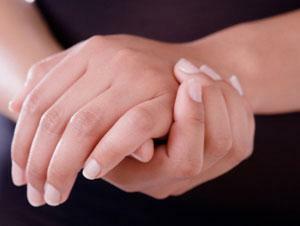 There are techs who do amazingly creative things with gel." 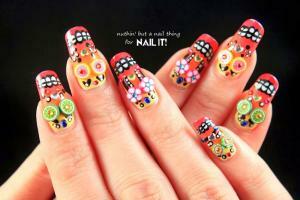 Nail art does not have to be elaborate or expensive. 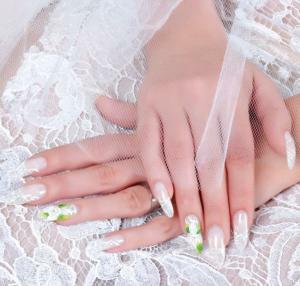 If you're on a budget and interested in simply trying the look out, if you want something just for a special occasion or if you want something fun and temporary, retail press-on nails or nail decals are a safe, affordable option. Glitter can be used over simple polish for a more glamorous look or for a look that will be seen from far away. Simple designs are by no means boring. 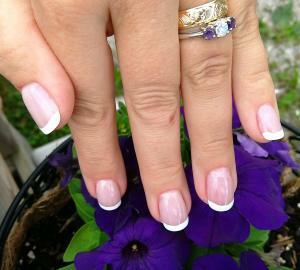 Formal designs can be as simple as a French manicure for a wedding or a prom. 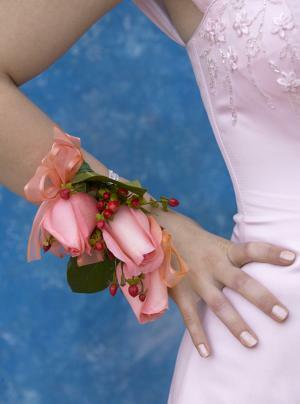 They can also be a little more playful with added detail and color. 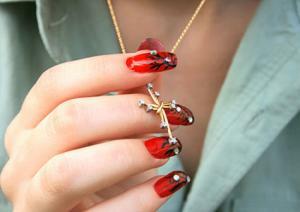 In the 1990s nail piercing was the trend. 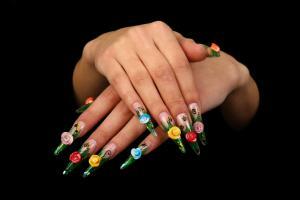 In the early 2000s placing tiny adhesive gemstones on the nails became trendy. 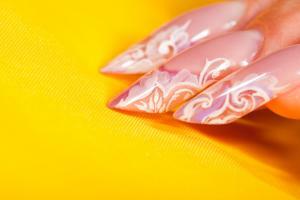 More recently the trend has turned to nail polish marbling and colored acrylic nails. Gibson weighs in, "Colored acrylic and glitter acrylic is very popular. I get many emails from people who want glitter acrylic nails and want to know where they can go in the area they live. 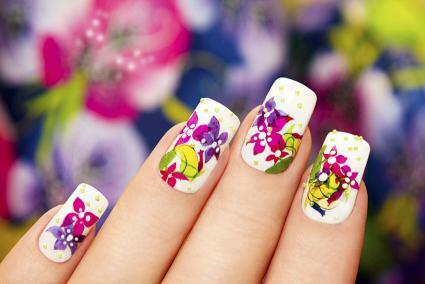 We do a lot of creative stuff with acrylic, and hand painted flowers are requested most often at my salon. My plumeria flower is probably the most requested design." Celebrate holidays and events with these fun designs. 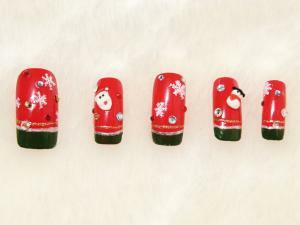 Seasonal designs can be elaborate mini-paintings, colorful stripes of glitter or polish, or easily applied and changed nail decals. 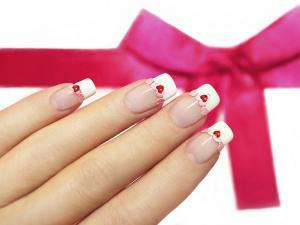 Cute and classy nails are more popular among tweens and young girls. These designs are for the young as well as the young at heart. To change things up or to get a more subtle look, you can create one statement nail on each hand with a design, then paint the rest of your nails in a complementary color. 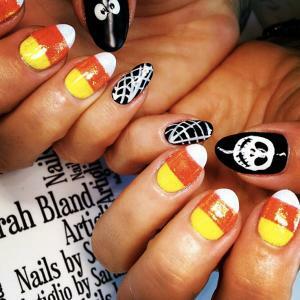 Nail art isn't just for manicures. Pedicures with designs on one or all the toes is fun and playful. 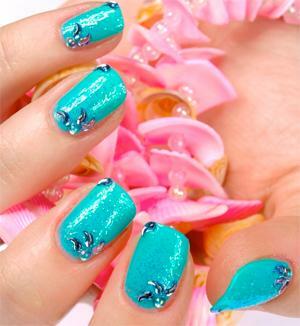 There is no better way to get rid of the winter blues than to have beautiful beach-ready toes. Stamping is an easy way to add a design that looks professional. 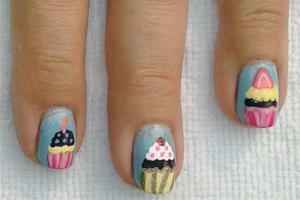 With tips from CutePolish, you can't go wrong! 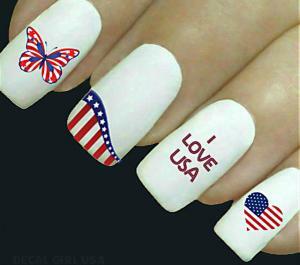 There are several methods for creating works of art with your nails, including freehand painting, air brush painting, stamps, stickers, nail decals and adhesive accessories such as rhinestones. Regardless of your artistic ability, you can find supplies and a method that works for you. 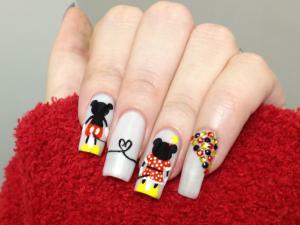 Like all other art forms, nail art is only limited by your imagination.